A year ago, generous donors helped protect Abraham Spring for Shitoto Community in Western Kenya. The contributions of incredible monthly donors and others giving directly to The Water Promise allow teams to visit project sites throughout the year, strengthening relationships with communities and evaluating the water project over time. These consistent visits allow us to learn vital lessons and hear amazing stories – we’re excited to share this one from our partner, Betty Muhongo Majani, with you. Shitoto community members’ lives have really improved over the last year. The water source is no longer contaminated, as was the case before. As we passed through some homes, we noticed sanitation facilities like compost pits and improvised handwashing stations near latrines. “The project has brought major changes to our community,” Mrs. Brenda Mukhalia said. Protection of the spring is only one step along the journey toward sustainable access to clean water. The Water Project and WEWASAFO (our trusted local partner) are committed to consistent monitoring of each water source. Our monitoring and evaluation program, made possible by donors like you, allows us to maintain our relationships with communities by visiting up to 4 times each year to ensure that the water points are safe and reliable. 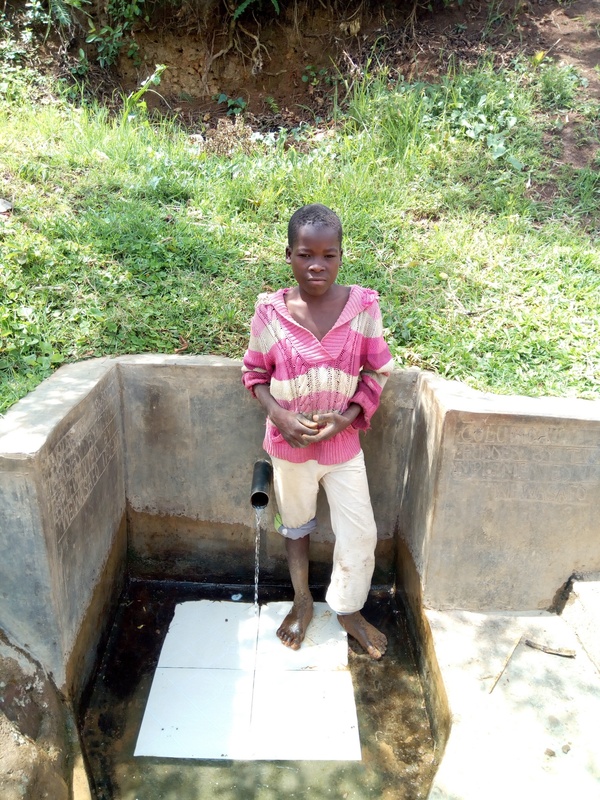 “After protection of Abraham Spring, I no longer miss class lessons due to health issues that used to result from taking dirty water from the unprotected spring. Besides that, my performance has really improved,” Benson Chomba, a 13-year-old student said. This functional spring protection in Shitoto Community is changing many lives. 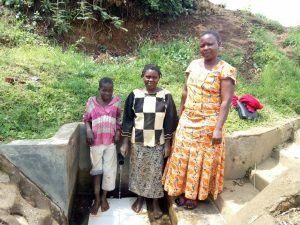 This is only possible because of the web of support and trust built between The Water Project, WEWASAFO, the community, and you. We are excited to stay in touch with this community and support their journey with safe water. “The level of sanitation in the community has really improved. Most households in the community have put up sanitation platforms such as latrines, clotheslines, compost pits, and handwashing stations helping to reduce infectious diseases from poor hygiene,” Mrs. Mukhalia said. 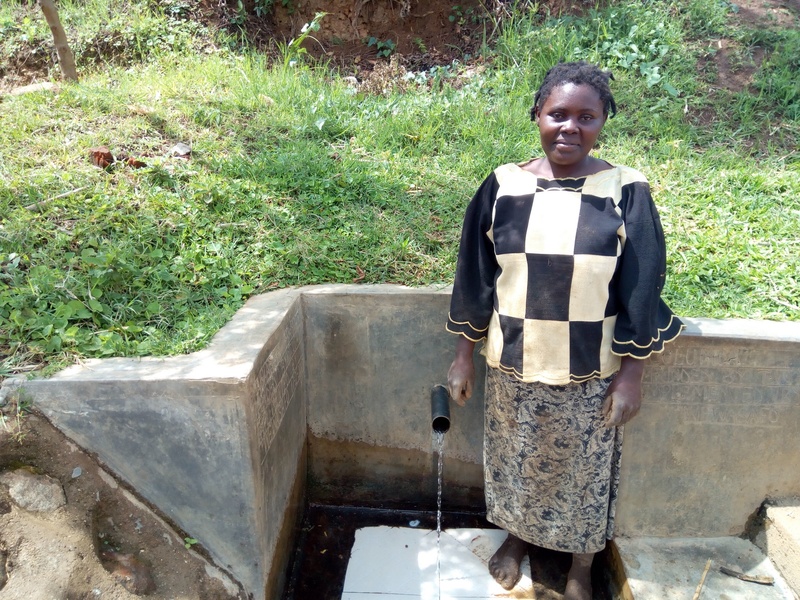 When you invest in The Water Project, you're investing in people like Brenda Mukhalia. Your gifts help us reach more communities with the gift of clean, safe water. And every drop helps unlock potential.